The character of Yitro is legendary within Jewish tradition as the non-Jew who joined the Jewish people. However, there is great deal of ambiguity within the Torah surrounding Yitro and his connection to Am Yisrael. In a number of areas the Torah casts mystery upon Yitro, leaving us wondering as to the meaning of Yitro’s enigma. To begin with, Yitro seems to have at least four different names! The most common name — Yitro — appears throughout chapter 18 of Shemot, the chapter in which Yitro visits Moshe and offers advice regarding the people’s judiciary structure. In this chapter the man is introduces to us as “Yitro kohen Midyan the father-in-law of Moshe” (18:1), and thereafter is repeatedly referred to as Moshe’s father-in-law. From a verse in the book of Shoftim (Judges) we read of the emigration of the descendents of “Keni, the father-in-law of Moshe” (Shoftim 1:16) – a second name for Yitro. Another verse in the book of Shoftim speaking of a descendent of “Chovav, the father-in-law of Moshe” (Shoftim 4:11) tells us of yet another one of Yitro’s names. Our first encounter with Yitro, in which Moshe meets Yitro’s daughters at a Midyanite well and then subsequently marries Tziporah, seems to provide yet a fourth name: when the daughters return from the well, they speak to “Reu’el, their father” (Shemot 2:18). The plethora of names attached to Yitro is interesting in itself, but the issue becomes problematic when we add in a verse from the Book of Bamidbar: “And Moshe said to Chovav, the son of Reu’el, the Midyanite, Moshe’s father in law, ‘We are journeying to the place of which the Lord said ‘I will give it to you’: come thou with us…” (Bamidbar 10:29). Who is Moshe extending an invitation to? 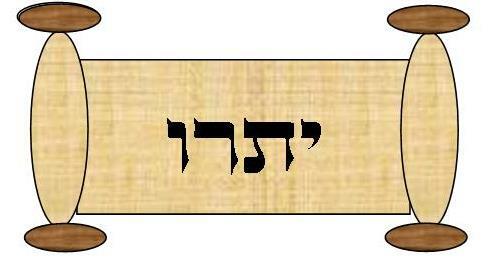 We know from the book of Shoftim that Chovav is Yitro, but the beginning of Shemot indicates that Reu’el, too, is Yitro! The simplest explanation seems to be the one put forth by Rashi, based on the Midrash: “children call their father’s father — father” (Bamidbar 10:29). Thus Reu’el is really Yitro’s (=Chovav’s) father, and the girls’ grandfather. The difficulty with this explanation is that is runs counter to the simple reading of Shemot 2:16-22, which leaves the reader to assume that we are indeed dealing with the girls’ father. As well, unless we posit a tacit insertion of Yitro, Reu’el becomes the one who marries off Tziporah to Moshe, and Yitro is mysteriously absent. Assuming that Reu’el really is Yitro’s father, why did the Torah choose to write in such an unclear manner? Another source of confusion regarding Yitro concerns the question of whether or not he joined Israel. Shemot chapter 18 concludes with Yitro returning to Midyan — “and he went his way to his own land” (18:27). However, Yitro reappears when Israel is about to depart for Israel. On this momentous occasion Moshe asks Yitro to join them on their journey (Bamidbar 10:29-32). Yitro refuses once, whereupon Moshe urges a second time — and the conversation ends with Yitro’s silence. Did Yitro join Israel? Later mention of Yitro’s descendents in connection with Israel indicates that he may have. Many midrashim pick up this theme, leading to the characterization of Yitro as a convert to Judaism. The Torah, however, at one point relates Yitro’s departure unequivocally, and another time leaves us unsure. Especially if we assume the Midrash to be historically accurate concerning Yitro’s conversion, why does the Torah cast doubt over Yitro’s joining the Jewish people? Through not clarifying details in Yitro’s history, the Torah uses ambiguity to give us a window into Yitro’s inner conflict as he contemplates identifying himself with the Jewish people. In this way, the Torah retains Yitro as a paradigm for the many throughout the generations who struggle over embracing their Jewish identity.